Are you looking to be an empowered female Super Hero? Look no further than Marvel’s recent update to the Spiderman series…Spider Gwen! In 2014, Marvel Comics decided to explore a world where Gwen Stacy, in lieu of Peter Parker, was bitten by a radioactive spider and had to accept her role as Spider-Woman. 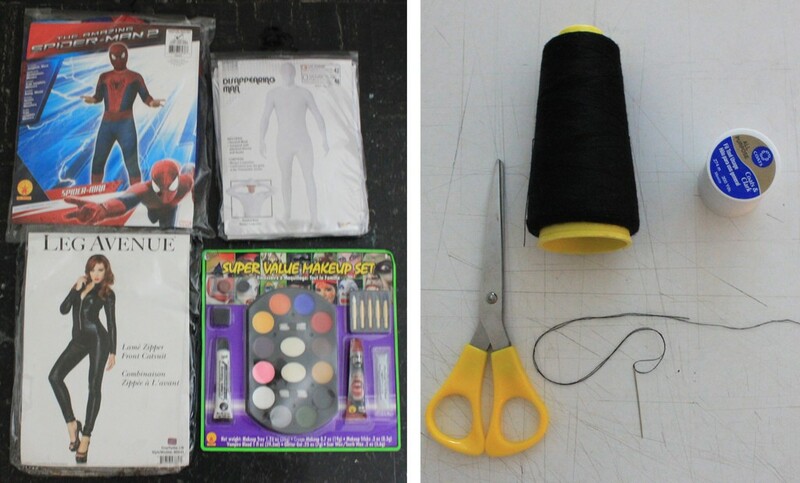 This creative DIY costume is sure to get your spider-senses tingling! Step 1. Take the White suit and cut the top off (image A). 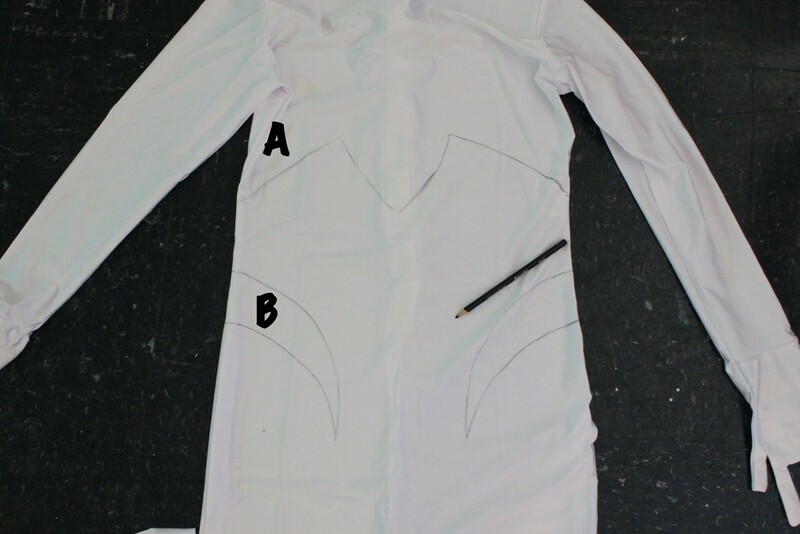 Cut “swooshes” from the side of the costume (image B). These pieces will be attached with glue or needle and thread to the black cat suit. Step 2. 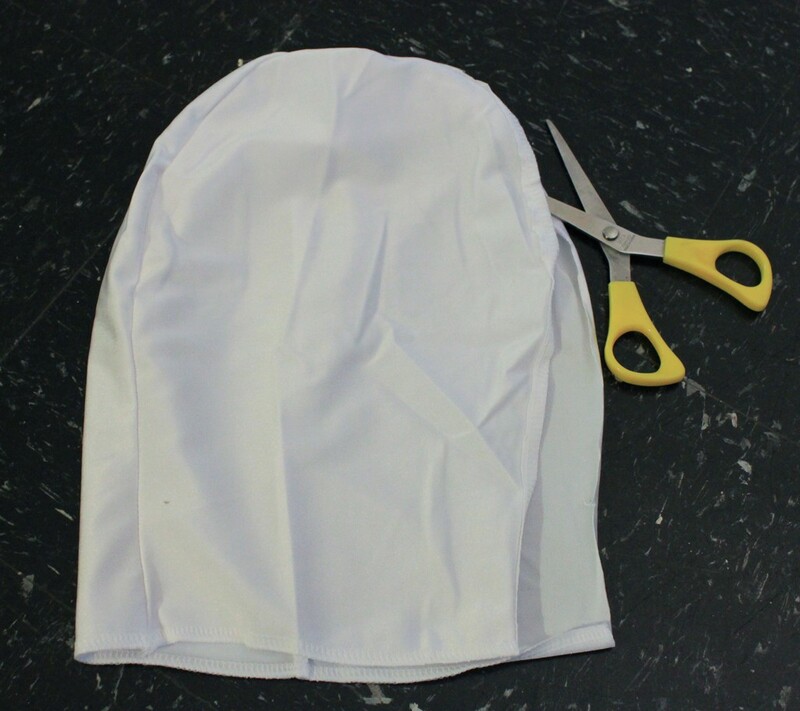 Cut the head off of the white suit (this will become Spider Gwen’s hood). Step 3. Take the child’s Spiderman costume and cut out 2 triangles with rounded bottoms. Step 4. 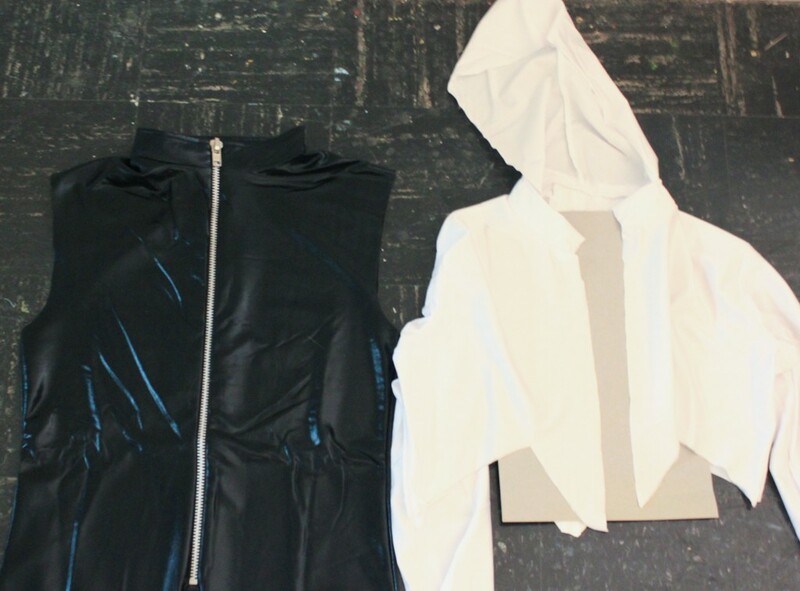 Cut down the center of the white suit top (piece A) from Step 1 and attach the hood from Step 2. (You can either glue or sew the pieces together). Step 5. Attach the top (piece A) from Step 4 to the cat costume with needle and thread or with glue. Step 6. 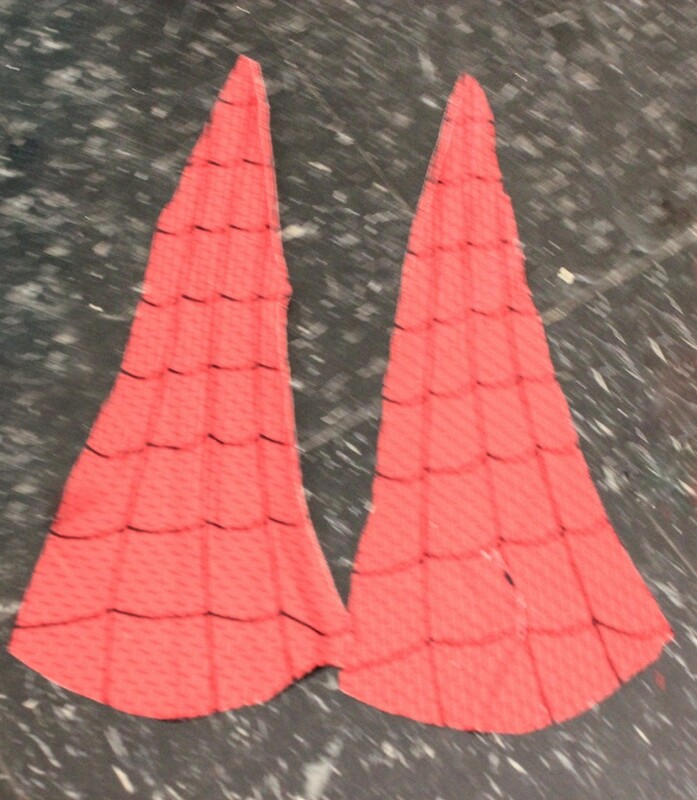 Finish the look by attaching the Spiderman triangles from Step 3 to the arms of the Spider Gwen suit. 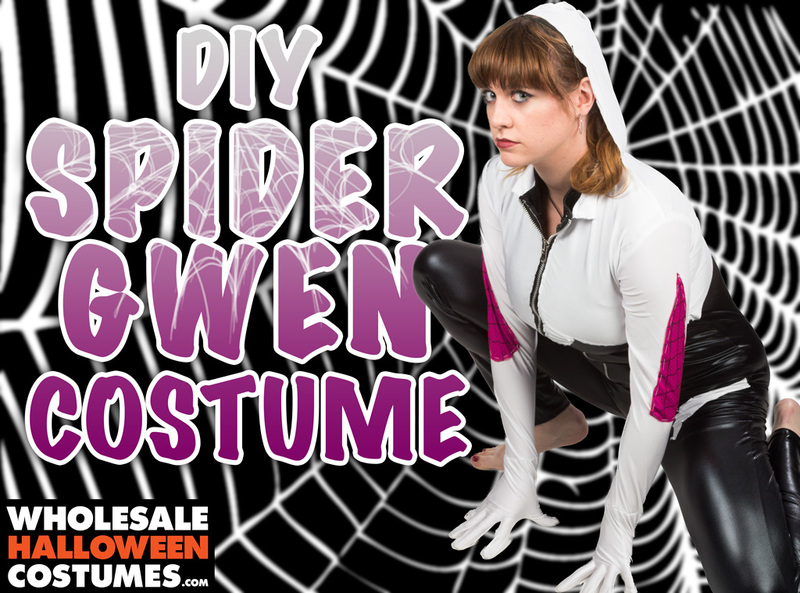 Swing and sway from the webs you weave this Halloween when you don the hood of one of Marvel’s newest heroes, Spider-Gwen! And if you’re still looking for your Peter Parker, Wholesale Halloween Costumes can help with an extensive selection of Spider-Man costumes!